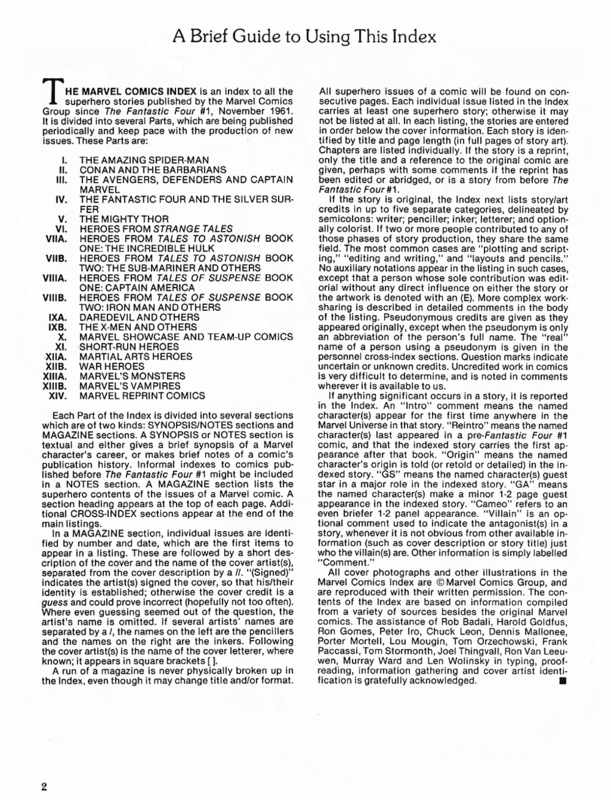 Marvel Comics Index, vols 5, 6, 7A and 7B (1977-78) | 'TAIN'T THE MEAT… IT'S THE HUMANITY! 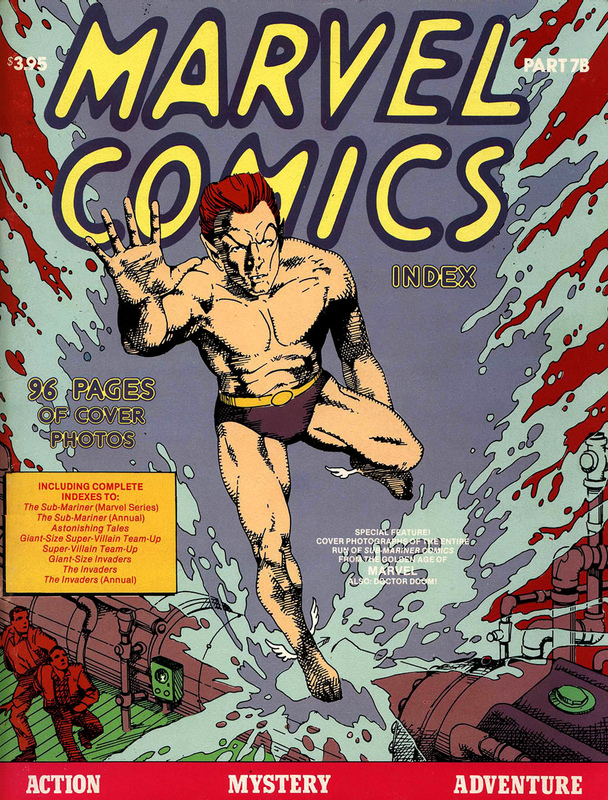 The Marvel Comics Index was complied by George Olshevsky and originally published between 1976 and 1982. Olshevsky, who laid claim to the boast of owning every Marvel comic ever published, created the index utilising his vast collection. 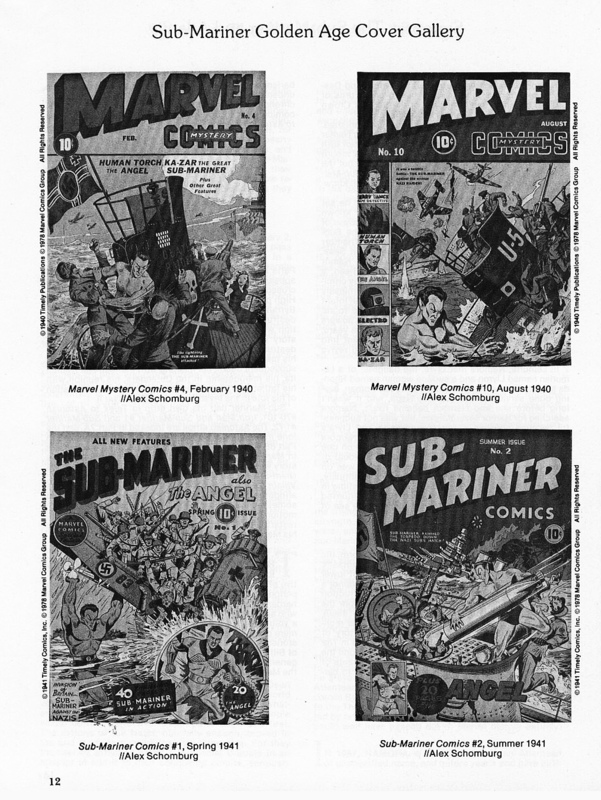 Olshevsky, an amateur palaeontologist as well as an avid comic collector, compiled 12 volumes of his Marvel Comics Index featuring some of the comic giant’s most popular titles. In each volume he provided author and artist breakdowns for each story, a guide on using the Indexes, synopsize, introductions, reproductions of comic book covers and lists of guest stars, cameos and villains. 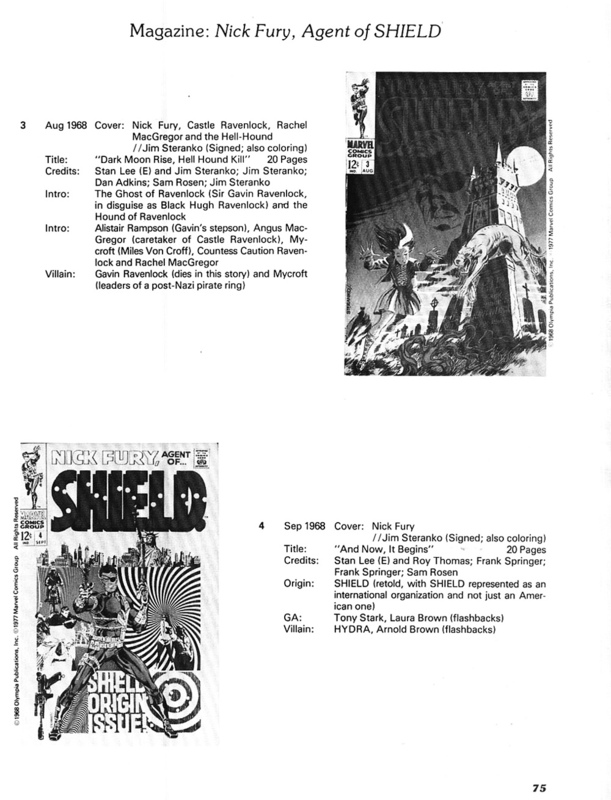 At the back of each book was a cross-indexed list of creator credits and character appearances. Olshevsky’s level of detail was truly impressive – before the advent of the Internet these indexes were indispensable for collectors of Marvel’s comics. The books, priced between $3.95 –$5.95, measured 215mm x 280mm, and ran from 84 to 120 black and white pages. 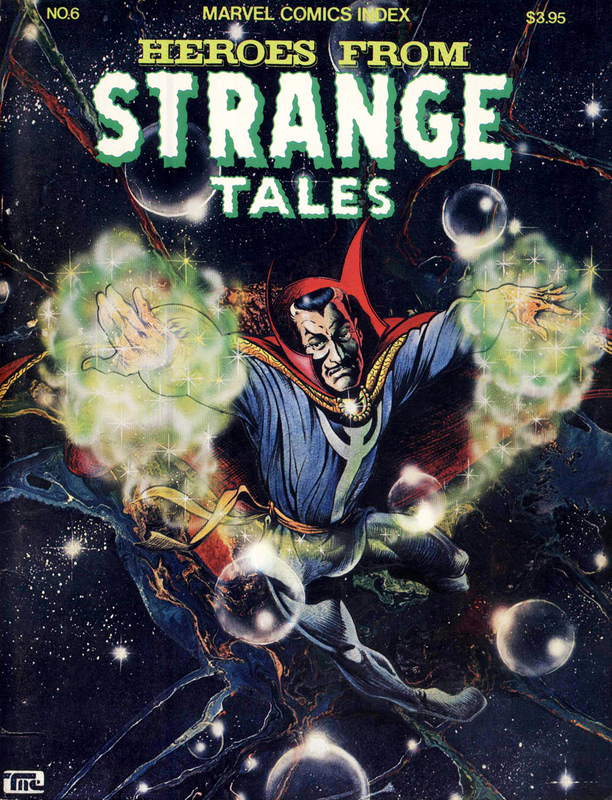 They featured a full-colour original cover by some of Marvel’s most popular artists, including Neal Adams, Jim Steranko, Bill Everett, Frank Miller and Brent Anderson. The books were published by G & T Enterprises while later volumes were distributed by Pacific Comics. 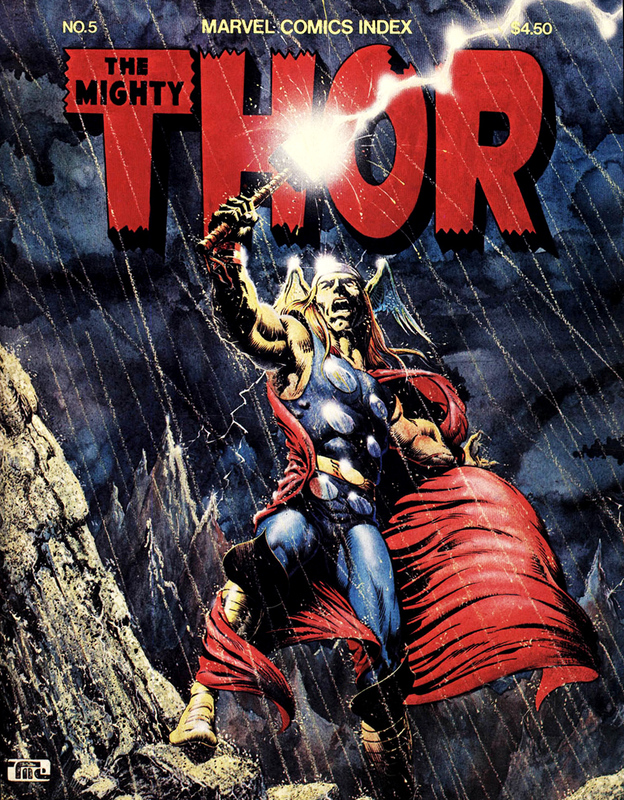 In this selection of indexes we have breakdowns for Marvel mainstays The Mighty Thor, The Hulk, Nick Fury, Doctor Strange and The Sub-Mariner. Also indexed are comics starring Adam Warlock and The Invaders. 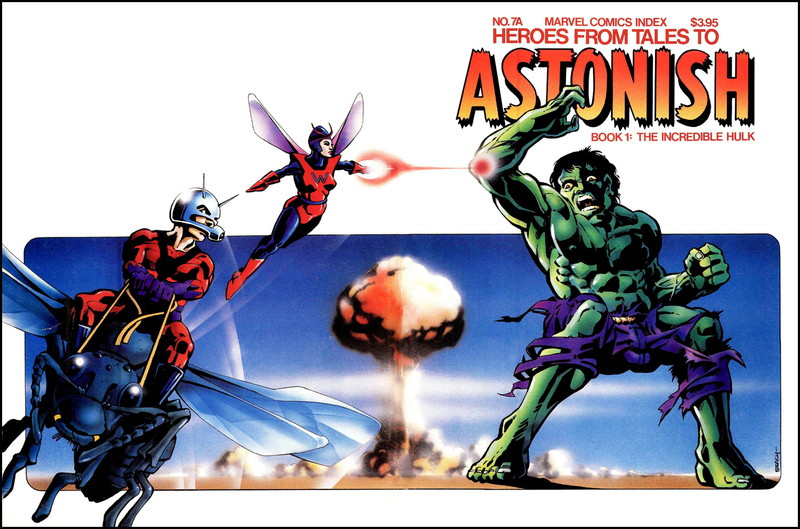 This batch also includes the first wraparound cover to the collection, Ken Steacy’s cover to Index #7A, Heroes from Tales To Astonish. Olshevsky originally published the first 12 volumes of his Marvel Comics Index with Marvel’s permission, but when the comic giant saw how successful the indexes had become – Olshevsky won an Inkpot Award at San Diego’s Comic-Con in 1980 – they contracted him directly to write more volumes, which they published throughout the 1980’s. Below are Indexes #5, #6, #7A and #7B with annotations. I’ve already looked at volumes #1, #2, #3, and #4 here. Next week I’ll post the last four volumes as well as taking a closer look at the artwork commissioned for the series (click here). Journey Into Mystery #83-125; The Mighty Thor #126-266; Journey Into Mystery Annual #1; The Mighty Thor Annual #2-6; Tales of Asgard #1; Giant-Size Thor #1.